Cardiovascular disease remains the leading cause of death in women in the United States, and the rate of decline remains less than that observed for men (1). Owing to an increased awareness of these statistics, and a focus on women’s health issues in general, there has been an intense interest in women with heart disease. Accordingly, gender differences in the presentation, evaluation, access to care, management, and acute- and long-term outcomes of women with acute coronary syndromes continue to be evaluated. 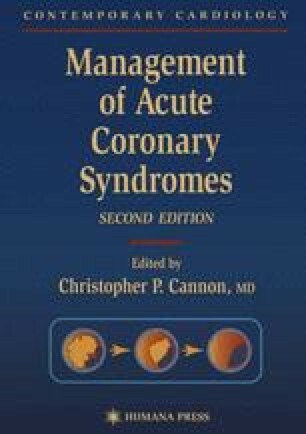 Therefore, the goal of this chapter is to review briefly the epidemiology, risk factors, clinical presentation and evaluation of women with acute coronary syndromes, discuss gender differences in patients treated with medical therapy and coronary revascularization procedures, and highlight issues specific to women with unstable angina, myocardial infarction, and cardiogenic shock.